Kajal: Define your eyes, naturally. What it does: Enriched with Damask Rose and Triphala, Himalaya's herbal Kajal combines traditional ingredients like Almond Oil and Castor Oil with Damask Rose for cooling and nourishing the eyes. Triphala, a unique herbal composite of three power-packed berries, adds luster, making the eyes look bright and attractive. Key ingredients: Almond Oil nourishes the lashes. Camphor aids in retaining eye moisture, which helps keep the eyes hydrated. Castor Oil is an emollient or skin softener. It also acts as a protective barrier between the skin and harsh environmental conditions such as wind, dust and dry air. Damask Rose is known for its cooling properties, which help overcome eye strain. Triphala, a herbal concoction of the Indian Gooseberry, Inknut and Beleric Myrobalan fruits, is a well-known eye tonic. Its anti-inflammatory properties help reduce eye redness and swelling. 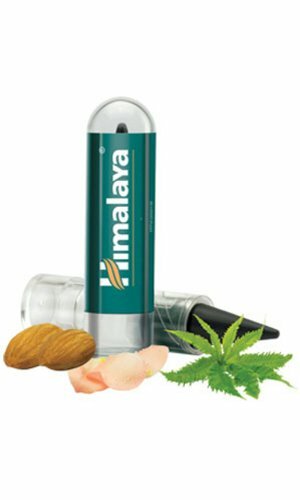 Himalaya Herbals kajal combines the natural goodness of triphala, damask rose, almond oil, and castor oil. This handy-sized kajal can be used to give your eyes to give a bright, well-groomed look. Triphala, one of the key components, is a unique herbal amalgamation of three varieties of power-packed berries, namely, ink-nut, Indian gooseberry and beleric myrobalan fruit. This adds luster to the kajal and helps make the eyes look more attractive. Additionally, it also serves as an eye tonic. Moreover, triphala has anti-inflammatory properties that are useful in reducing swelling around the eyes. Almond oil is known for its nourishing and anti-ageing properties, while camphor helps in retaining eye moisture. Castor oil, another key ingredient, is a natural skin softener which also acts as a protective shield between your skin and the external environment. Damask rose is well-known for its cooling properties, which help combat eye strain and tiredness. Himalaya Herbals kajal eyeliner is easy to apply, just put on one stroke and you are good to go. Hailing from the age-old Himalaya Herbals company that has been around since 1930, this product is tried and tested to give the best results possible. This kajal-eyeliner is suitable for all skin types, given its natural and herbal origin. Useful for combatting strained and tired eyes, early wrinkles, and puffiness. It comes in a quantity of 2.7gms. Key ingredients are triphala, almond oil, castor oil, damask rose and camphor. This product is suitable for women.